For sustainable growth of Black Cat Enterprises, we are committed to continually improve the quality of our services and products while protecting people and environment involved in and around its operations. We shall strive for continual adoption of national and international standards and codes with changing environments. Emphasis must be placed on ensuring human health, operational safety, environmental protection, quality enhancement, and community goodwill. This commitment is in the best interests of our customers, our employees and contractors, and the communities in which we live and work. 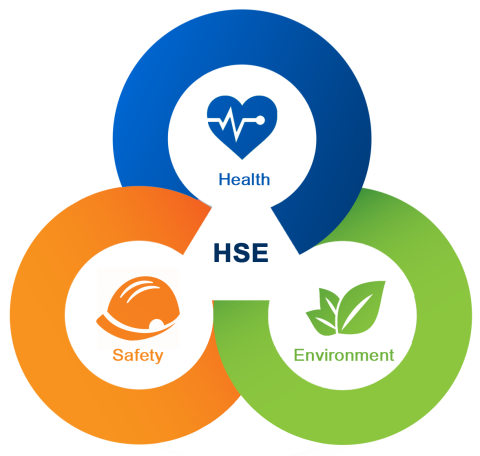 Ensure that all our operations comply with applicable health, safety and environmental laws and regulations. Meet specified customer requirements and strive to achieve continuous customer satisfaction. Set performance objectives for improving quality, health, safety and environment, measure results, assess and continually improve services and products through implementation of effective management system. For continual quality improvements, all the quality non conformances are promptly reported, investigated and the lessons learned are communicated to targeted groups in the organizations. For continual HSE improvements, all accidents, incidents and near missesare promptly reported, investigated and the lessons learned are communicated throughout the organizations. Educate and improve awareness of all our employees, contractors and associates regarding policy, practices and goals of organizations for improvements in quality, health, safety and environment. Monitor and review the performance continuously to ensure policies and practices are in line with the goals set for improvements in quality, health, safety and environment. Each and every employee, contractor, service provider and consultants of Black Cat Enterprises and/or its associates are obliged to comply with these policies.